1. 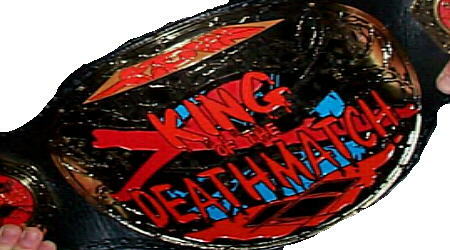 The Supreme defeated Kronus in a tournament finals to win the title. 2. Title was vacated when The Messiah won the XPW World Heavyweight Title. 3. The Supreme defeated Vic Grimes for the title in an "exploding ring" match. 4. The Supreme defeated Angel in an "exploding ring" and scaffold match to win the title.